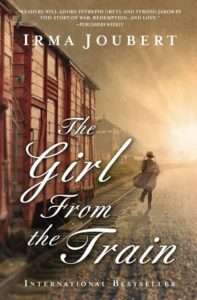 The Girl From The Train by Irma Joubert is a Christian historical novel. It is powerful. It is beautiful and I loved it. The action spans from 1944 to the mid 1950’s. It moves from Poland to South Africa. From war to peace. From innocence to experience. It is expertly written. There are several themes within the novel including that of hiding. Gretl is six years old as the novel opens. She is good at hiding as she has Jewish blood in her. Over the years Gretl continues to hide, if not physically then mentally. Gretl feels safest hiding who she really is. God’s presence permeates the novel. The story shows there are several different places of worship but the bottom line is always God is still God no matter where or how we worship Him. There is the theme of belonging. Gretl used to belong but then Hitler came to power. There is a continual search to belong but who wants a small Jewish girl? There is the idea that one’s roots are vital. Where you come from defines who you are. Some people fail to see beyond labels and stereotypes, and then it is necessary to hide who one really is. The topic of PTSD is present within the novel. It is sympathetically portrayed by Irma Joubert. Reoccurring dreams that are unfathomable are shown. Memories are hidden deep inside, to surface only in one’s subconscious. Loud noises, smells etc can all be triggers. The past needs to be grasped and dealt with, in order to banish the stress. Symbolism plays its part within the story. A small cross symbolises friendship. For the reader, we are reminded that the cross is where Jesus showed His great love for us and we remember His promise to be with us always. There are bonds of different types of love within the story – the all consuming love of God; the parental love; the generational love and the blossoming romantic love. We all need love and we all flourish when we receive it. There are some wonderful nuggets of wisdom imparted by Grandpa John. My favourites were “Life is like a silver coin. You can spend it any way you wish, but you can only spend it once.” And “When you suffer and feel the heat of the flames, that’s when God’s there.” Here Grandpa John is speaking of how God refines His children as a silversmith does. We are likened to a precious metal because we are precious in God’s eyes. The fire motif is present throughout the novel. Fire can be used for good and fire can be used for evil. The fire is not necessarily bad, it is how one uses it. Names form our identity. Gretl undertakes several subtle name changes throughout the novel. Each designed to ensure she fits in. Though our names are important, it is who we are deep down that really matters and who we are in Christ. Education is shown to bring choice. You can never have too many skills and you are never too old to learn. The novel is set in a time when there was a lot of fear and mistrust. First of the Nazis and then of the Soviets and communists. People were labelled according to where they lived, whether they had sympathises or not. The world was in turmoil. 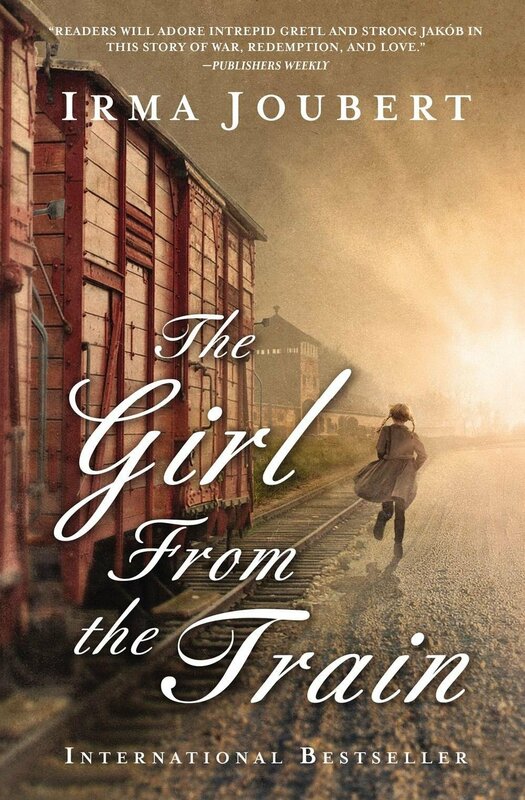 The Girl From The Train was a very powerful read. It stirred up many different emotions in me. The characters were all well drawn and likeable. I devoured the novel in just two sittings. I had heard a lot of good reports about the book and it certainly lived up to its reputation. I loved it.